Welcome back to the second part of my travel journey. 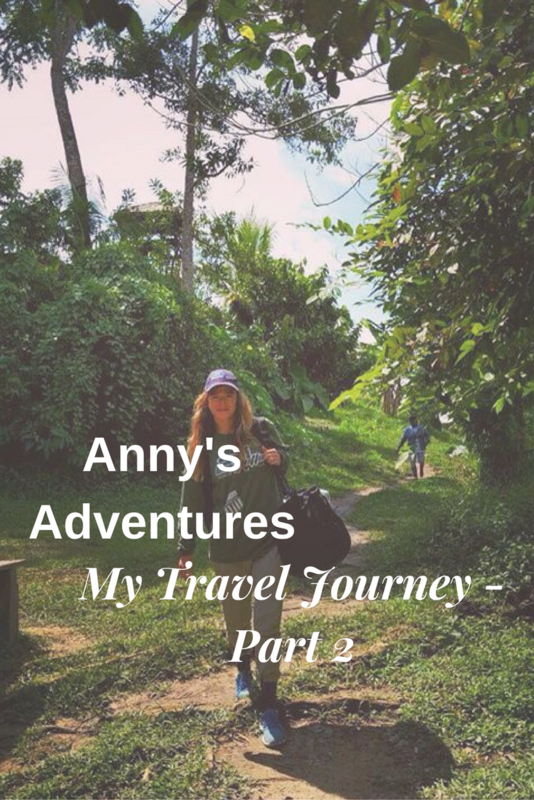 In part one I discussed my travel journey the problems I had with my weight/food during University, how travelling and working at a summer camp made me break out of routine and saved me. During my 6 weeks working in Greece as a water ski instructor I made a lot of friends, I met up with these friends after returning to the UK and they invited me to go with them on their winter season. So Season number 2 was a winter season in Chamonix, France. In early January I booked a one way flight to Geneva and met up with my friends. I had no job and no return ticket but it was a risk I was willing to take and it turned out to be for the best. I found a job easily with a baby sitting agency, they connected me and I worked for weeks at a time and got paid by the hour. This meant I could ski when I wanted to, I ended up working the whole of February and most of March and then odd weekends in April, which gave me lots of time for skiing and making friends. I met an amazing group of friends, from New Zealand, they were amazing, they taught me that its ok to be myself, that everyone should be happy with their life and do whatever they wish to. In truth they inspired me, they were living their lives, being happy and doing the things they love. I loved my winter season I didn’t want it to end, I felt so alive and was just me. I returned to England for three weeks then embarked on my next adventure to Greece, with a company called Peligoni. I once again worked as a water ski instructor but this time in a high end Greek resort, my sister Emma also joined me. To be fair this season destroyed me, we had to attend party nights and interact with the guests as part of my job, but some evenings I wished I didn’t have to party (being forced to party isn’t all too great). This season was out of hand, so many crazy things happened, I worked with an amazing group of people, who were so much fun. I have stories from that season that people won’t even believe are true! It was hard work but totally fun. I didn’t want to go home once again, so I applied for a job at another Greek resort which I got. So instead of going home I flew to a different resort in Greece and worked for a company called Neilson. Neilson was a great company to work for, not as fancy as Peligoni and not so much partying but it was exactly what I needed. My friend from my first Greek season was also working at the resort and so were two people from my hometown (happens on seasons), it was a fun season, not so outrageous as the last but I got to water ski a lot more and improved my skiing immensely. This season was short only 8 weeks long but it was still great. I worked in a resort called Sivota, it’s was a resort at the top of a hill overlooking a lagoon, it had incredible hidden channels for skiing. We skied most days and went wake surfing after work. I have some incredible memories from that season. The following January I went out to America to do some proper water ski training, after two years of skiing for fun it was time to get serious, Louisiana was amazing, it was incredible to be surrounded by water skiing royalty. I made some great friends on my time here and learnt a lot. I visited Texas, Arkansas, Florida and Alabama. I also discovered that the South of America is unreal full of culture, New Orleans and Baton Rouge are great cities. I got the opportunity to attend and ski at a number of water ski sites, which was incredible. I had a great time and met some friends for life. My most recent adventure has taken me to Bogota, Colombia to teach English to Colombians. Colombia is an amazing country full of culture, life and happiness. I have never felt like I have belonged anywhere before until I came here. I have spent a number of years trying to find my place in the world, trying to discover what I was good at, where I fit in and most importantly where I was happy. Colombia has welcomed me with open arms, given me hope in a world which sometimes looks dark, everyone has their own problems, but to belong in a world throwing you problems and struggles is the greatest gift. I love teaching English, giving Colombians hope, the English language is a gift here, it gives Colombians opportunity to have better jobs and work abroad. So thats it, thats my story so far, the ups the downs. If you want to follow and see how my story unfolds be sure to fill in your email address or follow me on Twitter, Instagram or Pinterest.